We all have those ugly eyesores in our yard. Trash cans, utility meters, AC units… you know, those “things” that your home can’t run without, but you wonder why no one has figured out a way to make them look better? In a small home, these things can look even worse because they demand more attention. Your home might be smaller than others, but those eyesores aren’t! 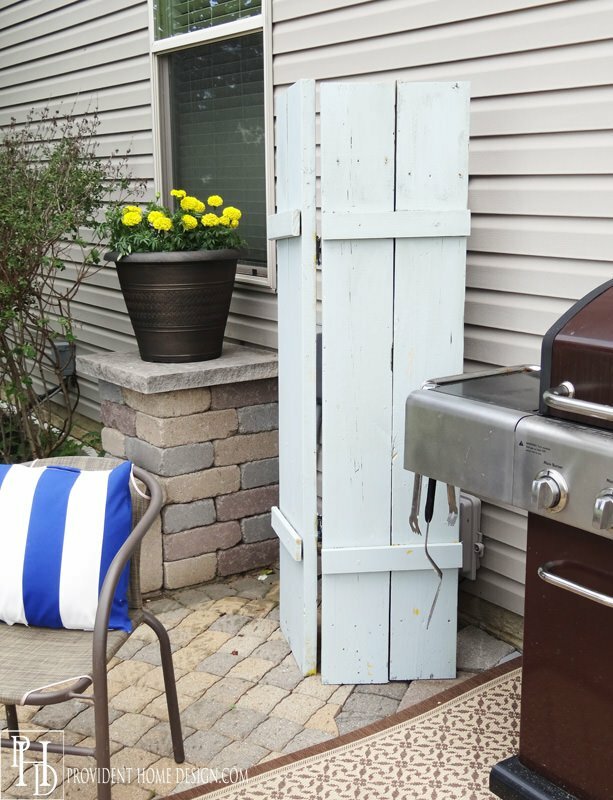 Lucky for you, some creative folks in the blogging world agree, and have come up with these DIY ways to hide outdoor eyesores! 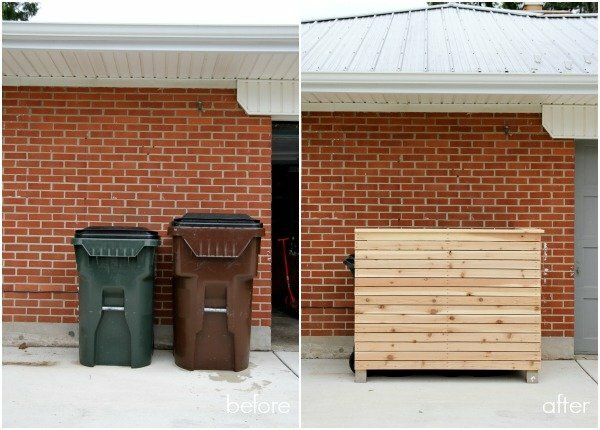 So get ready for greater curb appeal, and hide the ugly! Want to cover up the indoor ugly too? Then visit our post, hide the ugly – indoors! 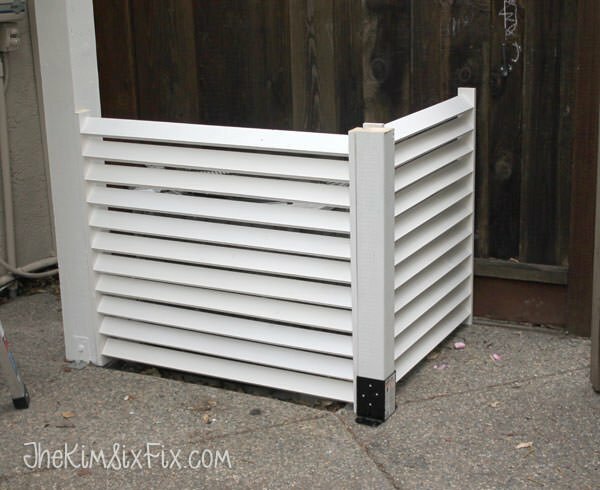 ‘The Kim Six Fix‘ shows us how to hide an AC unit with this project, and her DIY air conditioner screen tutorial takes you step by step through how to get it done. This would work for heat pumps, propane tanks or electrical boxes as well. Lot’s of photos in this tutorial, as well as her plans for building. This solution to hide that AC unit from ‘Housepet‘ is one of my favorites. I really dig the alternating slats. 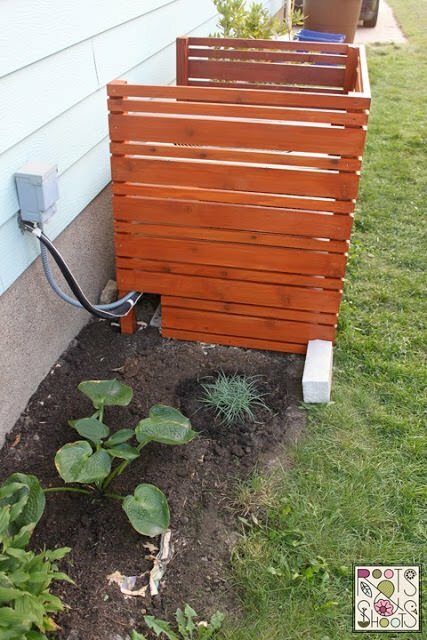 They did this air conditioner fence with rebar and wood slats, and have a short tutorial with the how-to. Another example of a similar project to hide an air conditioner unit by ‘Roots and Shoots‘. Our next photo from ‘Living with Aloha‘, is an electrical box cover. In addition, it could also be used to hide an ac unit as well. One of the main reasons to hide outdoor eyesores is obviously to improve curb appeal. And one of the most common problems is how to hide trash cans. We all have them, and they are all icky. This woven wood privacy screen from ‘The Sawdust Maker‘ is a lot easier to make than it looks, and they not only have a tutorial, but free printable plans. Love that they did something so different that would go with so many different styled homes. 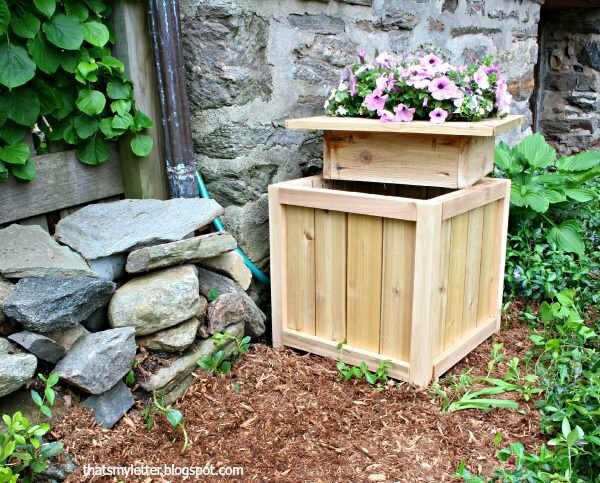 This DIY waste bin enclosure by ‘House Tweaking‘ was made with cedar, so it will last. 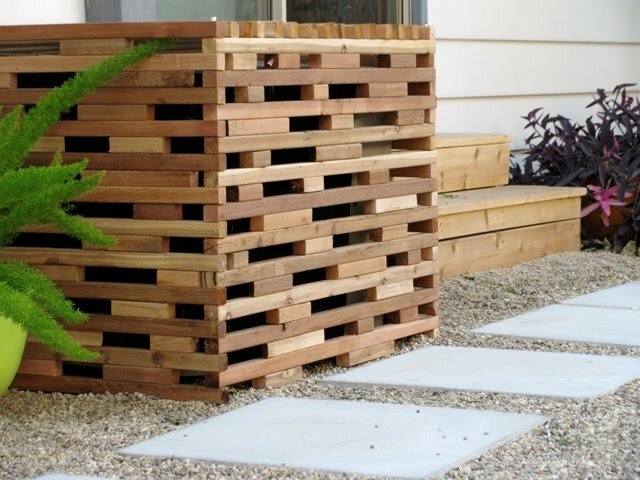 And cedar tends to look better with age, so it’s a great choice for outdoor projects. The “after” photo shows you just how much of a difference this can make to your curb appeal! 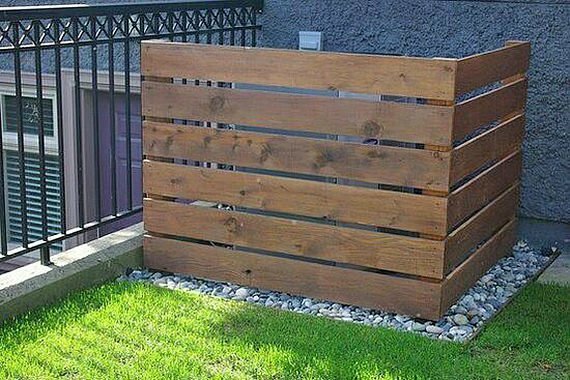 This trash can enclosure from ‘British Standard Fence‘ doesn’t have a tutorial, but gives you an idea how you can customize these projects to hide outdoor eyesores. 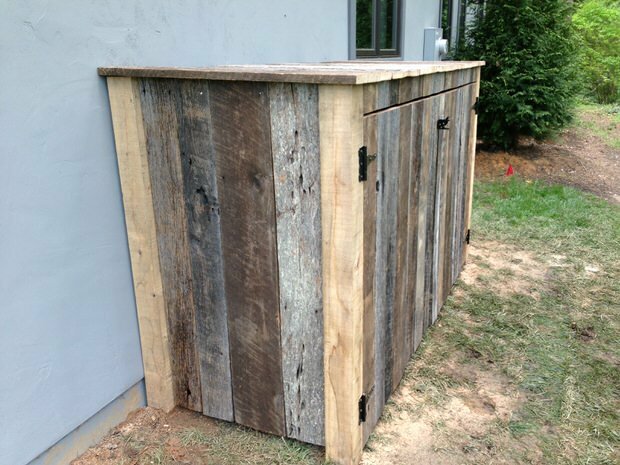 This is old barn wood, but pallet wood is cheap or free and would give the same look. 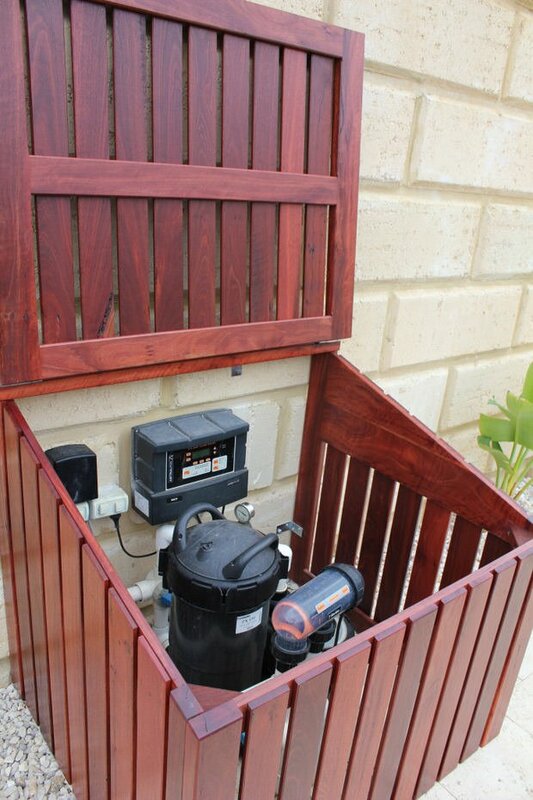 So now that you have a few of these projects down, take a look at this pool pump enclosure by ‘Peter Walker Furniture‘. 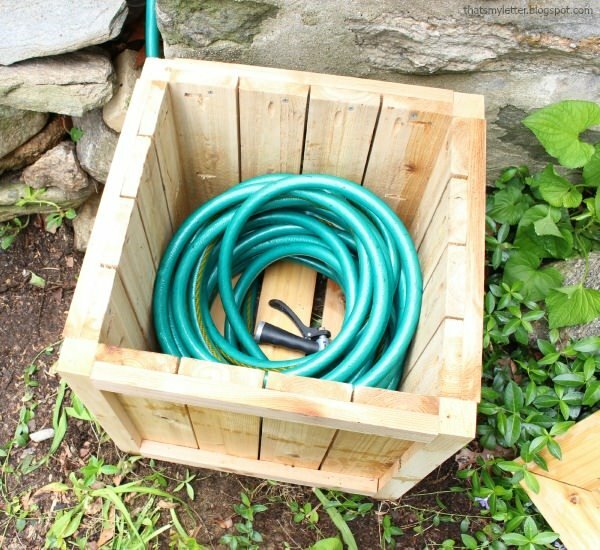 This isn’t a tutorial, but you could modify one of the previous outdoor eyesore projects with a hinged lid. Sometimes a home builder does you an even worse one… They put those ugly gas and utilty meters on your house in plain view. 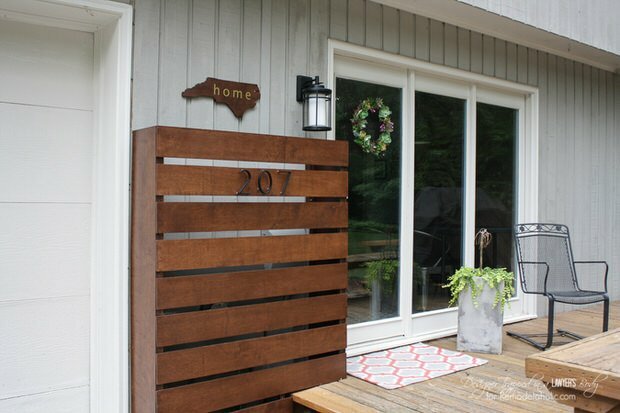 Luckily, this pretty DIY wood screen from ‘Remodelaholic‘ is perfect solution to hide those utility meters! Adding the address numbers to it made it look like decorative fencing, and you don’t even know it’s a disguise. Finally, from ‘Provident Home Design‘, we have this trick for hiding your outdoor utility meters. 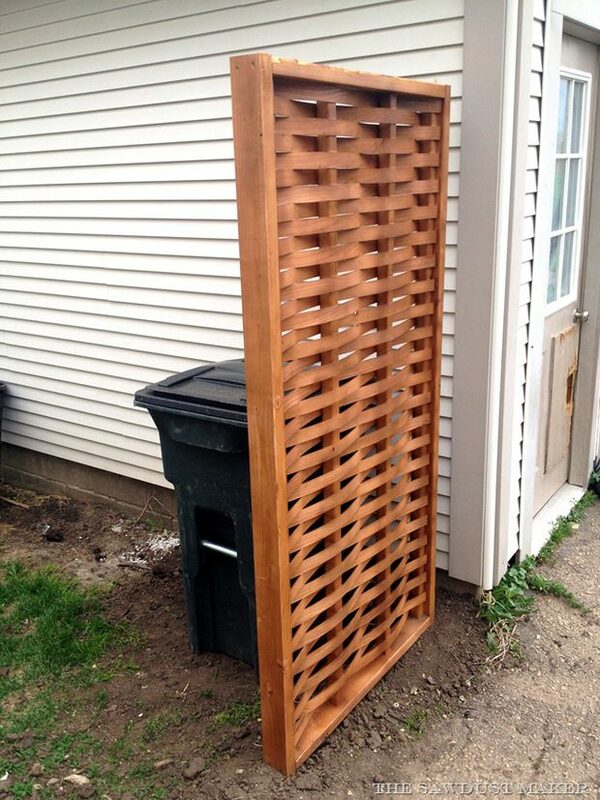 This wood screen was made from inexpensive fence boards. Looks very farmhouse cool, don’t ya think? If you liked this post on how to hide outdoor eyesores, you may want to check out our post on How to Reupholster Almost Anything and Boost Your Home Value with Easy DIY Projects! It may look more appealing but there are many codes and restrictions when dealing with electrical / gas / plumbing / HVAC that must be followed with proper clearances… As a professional I always try to install everything I do in the best manor to provide functionally/performance/ and aesthetics …. However, you cannot just “cover up” anything you think is an eyesore… unless you understand your local codes and eqiupment your best bet is to contact a qualified technician before attempting to restrict service/performance to a vital part of your home. So I’m confused, how can a meter reader check the meters if they are covered up? I understand how easy it would be for the white one, but not the dark one. Be careful covering up A/C condensing units. They need plenty of air flow to work properly. Also, make sure the hide is easy to disassemble. If not, it makes servicing/repairing the unit difficult to impossible. So I tried to hide my meters and got yelled at by the utility companies. Anyone else have that problem? You can hide the meters as long as they can still easily access them… of course they still need to be able to read them. Has anyone else had an issue like this? This is really clever solution. I like how they came out, really resembles a farmhouse. So cool!